Personalization – both online and off – has occupied retailers and brands for years. While relevant offers help you connect with online shoppers and drive higher conversions, creating a personalized experience in an offline store is more important than ever. How do you ensure each shopper remembers her visit? What makes your brand stand out? Sue Phillips, “Scentrepreneur” and founder and CEO of Scenterprises, has made it her job to answer these questions for fashion brands. Attended the Women’s Wear Daily CEO Summit, Phillips heard industry leaders discussing the issue in depth. And knew that she had the answer. A veteran of the beauty and fragrance industry, Phillips began her career at Elizabeth Arden conducting Beauty Training Seminars before joining Lancôme as Marketing Director of Fragrance. Next, Phillips joined Tiffany and Co. as Vice President of Fragrance Marketing to develop the house’s first iconic Tiffany perfume. Phillips went on to launch perfumes for Burberry, Lagerfeld, Chloe, and Trish McEvoy. In 2008, observing the rise of celebrity fragrances, Phillips smelled the next great opportunity. Experts in the retail industry believe the next big trend in consumer goods is “sensploration” – when brands take shoppers on a multi-sensory journey to create a stronger experience and a better emotional connection with the product. At a time when omnichannel retailers strive to deliver personalization on every channel, that connection is important. Phillips delivers on both online and offline personalization by mixing individual perfumes for each and every client. The results of the quiz have been so accurate that, out of more than 20,000 personalized perfumes, only one has ever been returned. 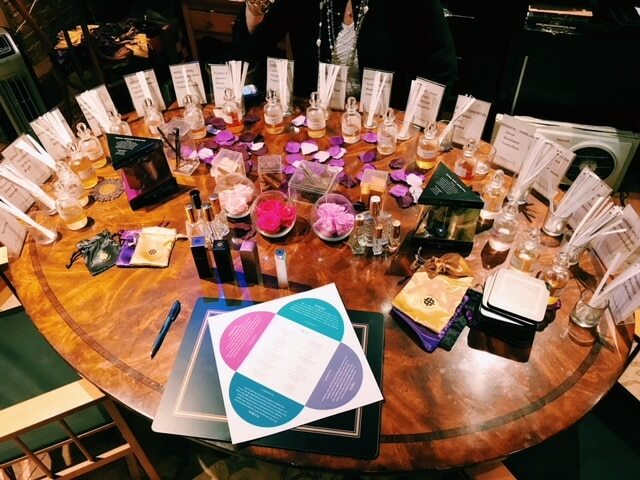 But for Phillips and the lucky clients who’ve entered the New York City-based Scentarium, it’s the in-person “custom scent experiences” that takes personalization to the next level. Decades after her time as a beauty training director at Elizabeth Arden, Phillips has kept her best tactics and taken them to the next level. Outfitted with plush furniture, cozy fabrics, and eye-catching art, the Scentarium is a perfume-lover’s dream. Here, Phillips uses sensory strategies to sell custom fragrances. With Phillips herself leading most appointments and interviewing each client to get the right scent, it also builds brand loyalty through a unique, interactive and in-person experience. 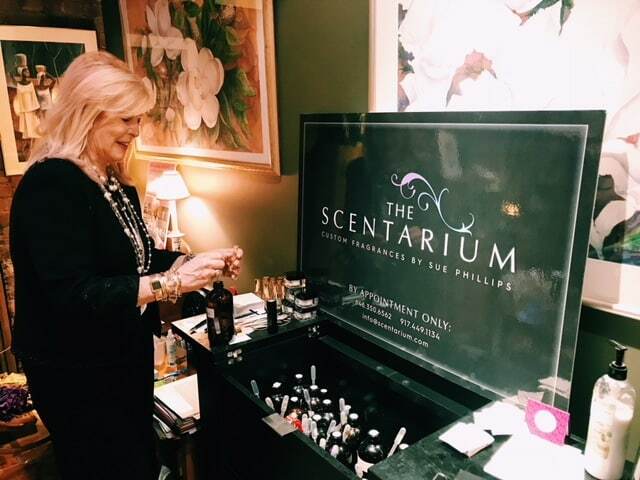 Moving into 2018, Phillips is strategizing on how to expand Scenterprises.com as an e-commerce platform and bring the Scentarium, along with her expertise, to a larger audience. Phillips plans to draw once again from her early days as a Training Director at Elizabeth Arden. Omnichannel retailers of all sizes planning 2018 marketing campaigns can learn from the Scentrepreneur. 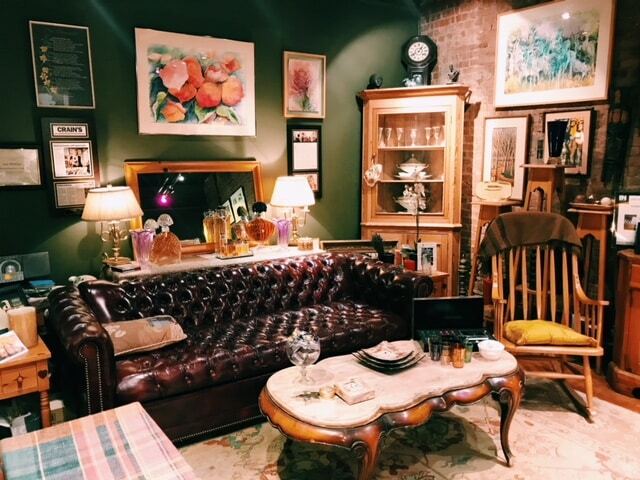 While in-store and online experiences go hand-in-hand, brick-and-mortar can still engage customers in ways that the online experience, simply can’t. And if done well, the result is the sweet smell of success.